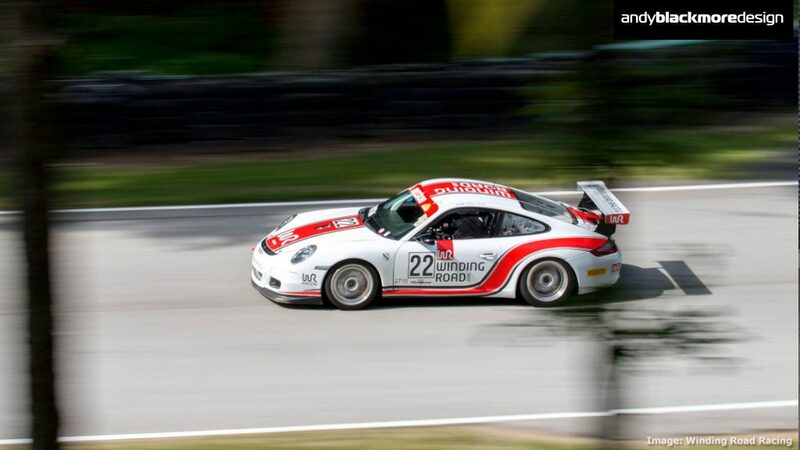 Winding Road Racing are a premier motorsport parts and accessory company based in Texas. 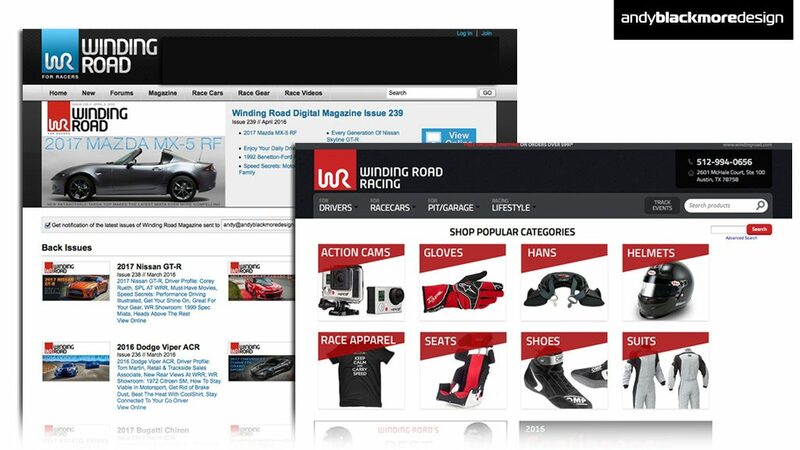 They also run a successful digital magazine and race team. 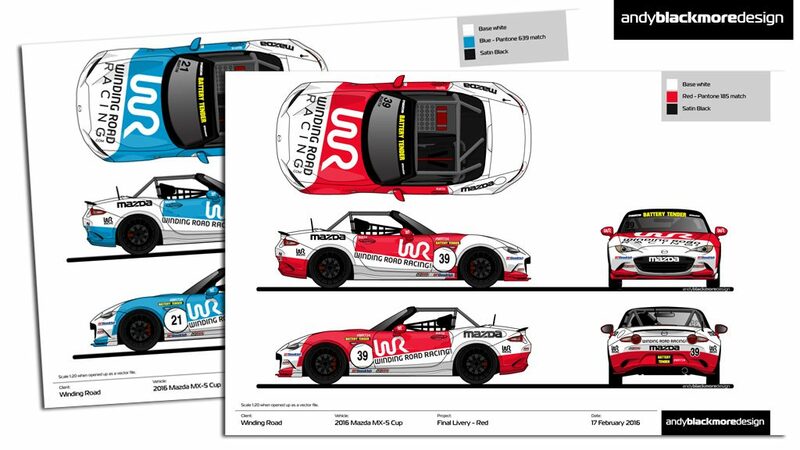 I had previously completed a livery for Winding road, via the Agency ‘Studio Rhoad’ when they required a retro themed livery for their Porsche 911 GT3 Cup car. 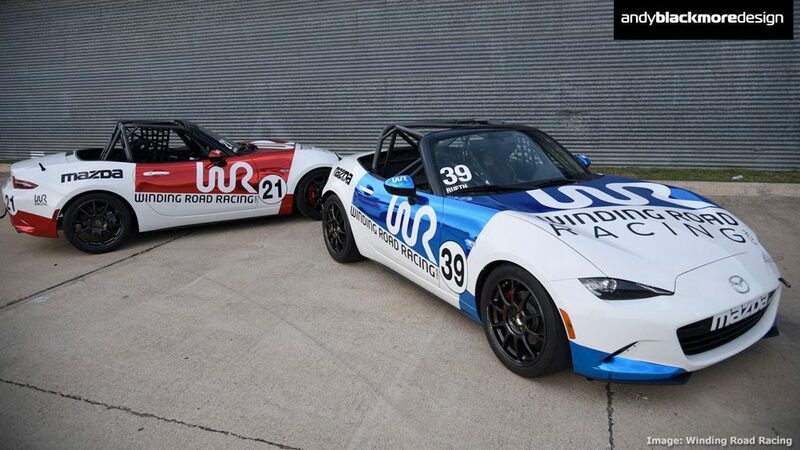 For 2016, race team principal Tom Martin and Winding Road Racing have purchased a ‘fleet’ of four new Mazda MX-5 Cup cars to race in the all new North American Mazda MX-5 Cup Series. Winding Road has a very clean strong identity using strong colors (generally Blue and Red) on a White or Black background. The ‘WR’ icon is often the dominant feature and has on, occasion been used on its own. From the outset, I wanted to focus on this bold WR graphic as the basis for the livery. 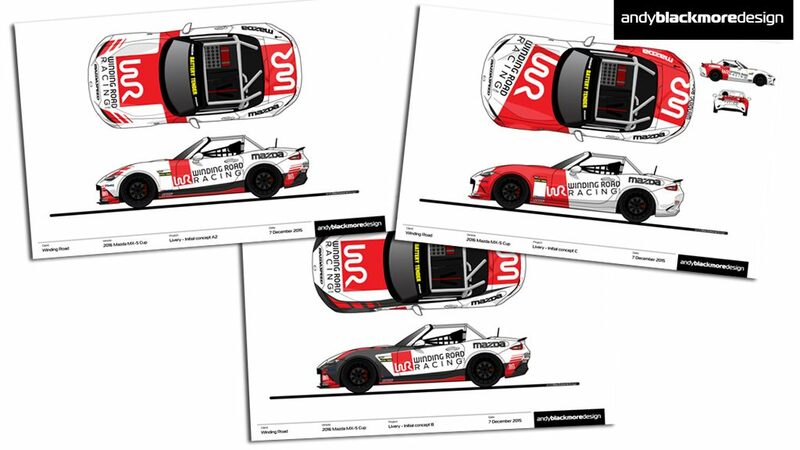 With the next chapter of the MX-5 cup in the offing and a strong order book, it was clear the MX-5 grid would be jam-packed with over 40 cars, so a bold graphic was even more important than ever. These are a selection of the initial ideas and you can see the final asymmetric appearance has already come to life, at least in plan view. For Round 2, we concentrated on the bold graphic used asymmetrically and on an angle. While Winding Road Racing always uses the ‘WR’ graphic, they have flexibility in the actual wording ‘Winding Road Racing.com’ and its variants, so the early concepts played on different ideas maximising the space available. 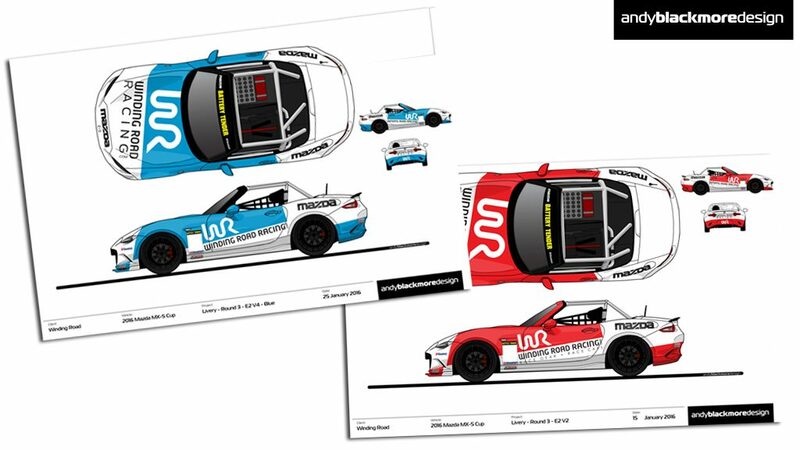 With the various website divisions showing different coloration, we wanted to use these colors to make the livery stand out and provide something interesting as a collective. (Tip -Photographers love this for their compositions which in turn increases YOUR exposure). It also helps the teams and fans work our which car is which quickly. The flip side is two sets of spare bodywork. You can see here (Round 3,where we ended up with six variants) we are still playing with different branding options. For reference, I will normally used three or four rounds of designs to ensure every avenue has been explored and also resolved. Each round will have multiple variants. 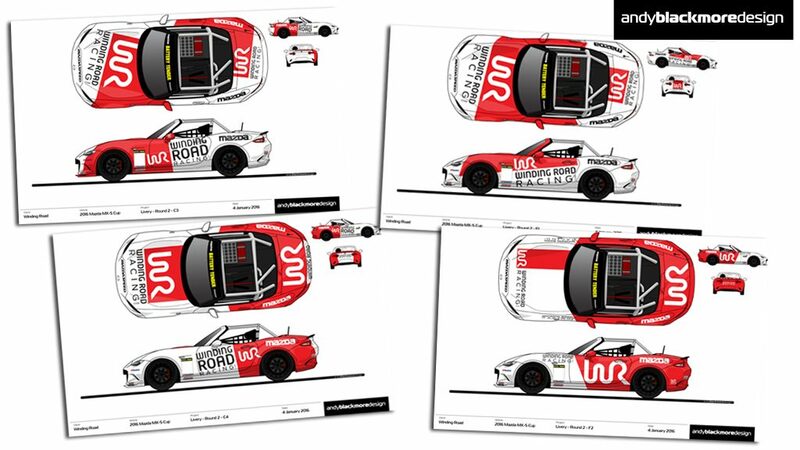 Often more than other designers, but if you have a sponsor/partner paying you money, you want to showcase them and your team the best, so resolving a livery is a must. 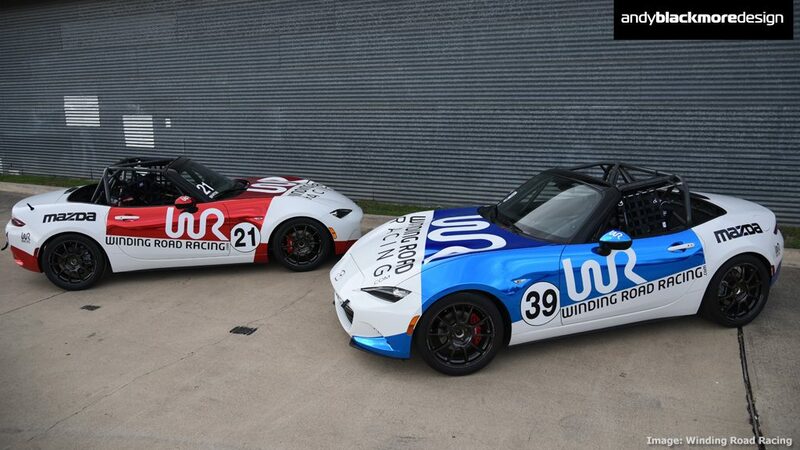 Mazda announced their series branding which included round number panels which are cropped by the door shut-line. This necessitated a small redesign. The drivers also swapped their colours a couple of days later! Having previously considered chrome and matte finishes, the team eventually went with chrome in lieu with website color matches (which the concepts showed). I feel the oversized WR branding works really well against the white space. 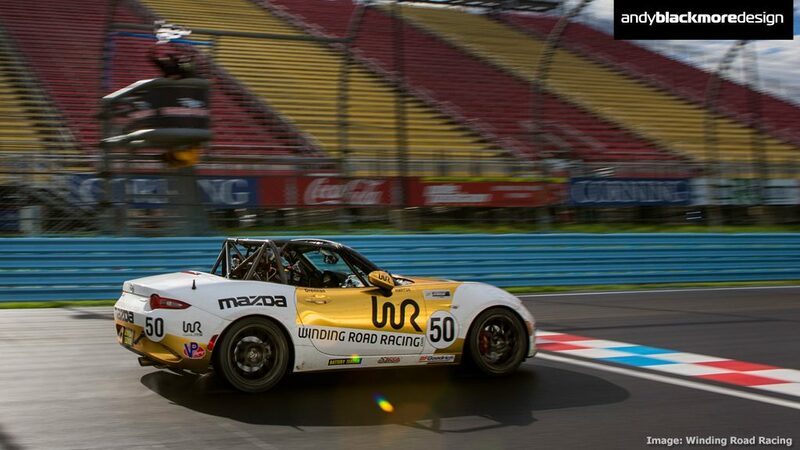 Luckily, not many other sponsors were required on the cars, so we didn’t dilute the image. This image shows the asymmetric treatment around the front fender. 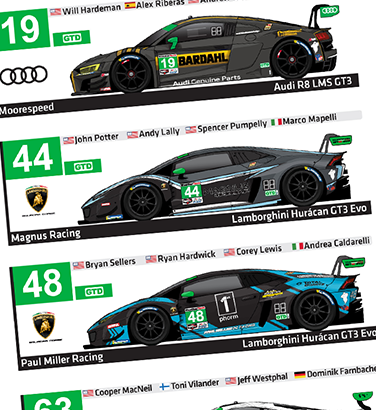 Its a challenge to place other brands, but its a good way to stand out on a packed grid. 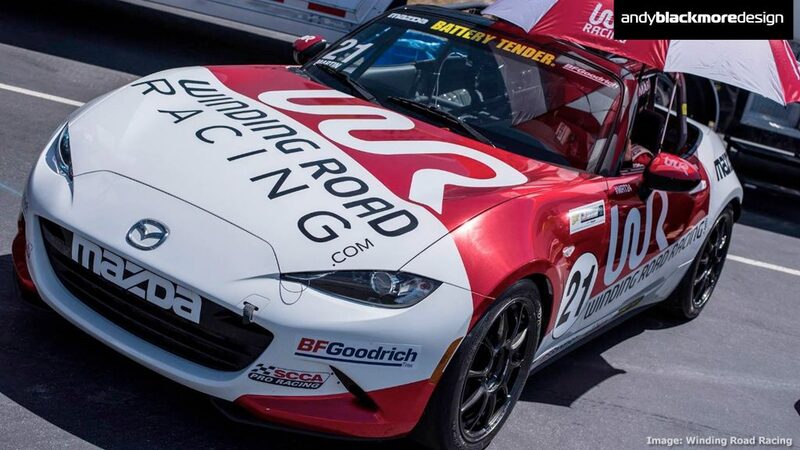 The MX-5 grid is often over 40 cars so visibility is critical. Just before the start of the season, a third entry materalised and this was wrapped in Gold. 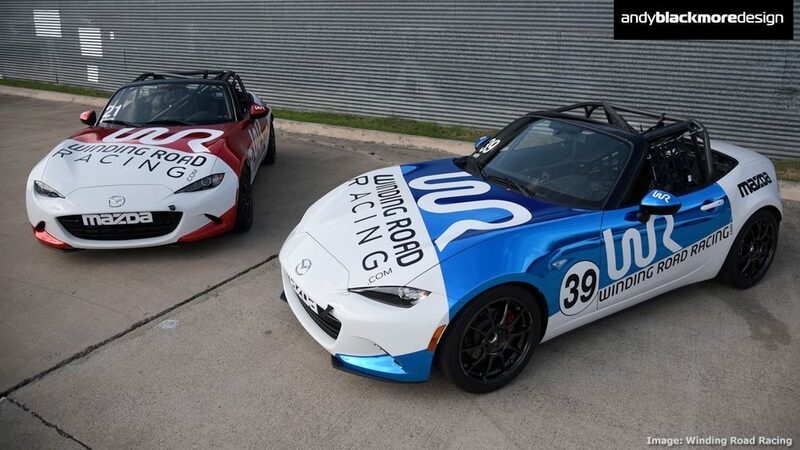 Its driver, Mark Drennan, has won two races and recently been selected for the MX5 Global Cup Invitational race in September where the best racers across the globe will compete together. The cars were very well presented and stood out against the masses of arcs and stripes on the grid. The WR on the side and hood was readable from a significant distance. I feel this is a great example where a clean, simple livery can really stand out on track against the trend of busy, multi-layered designs. As an extra bonus, the team won ‘Best Team Image Award’ presented by Mazda and VP Fuels, at the season opener which was great news. 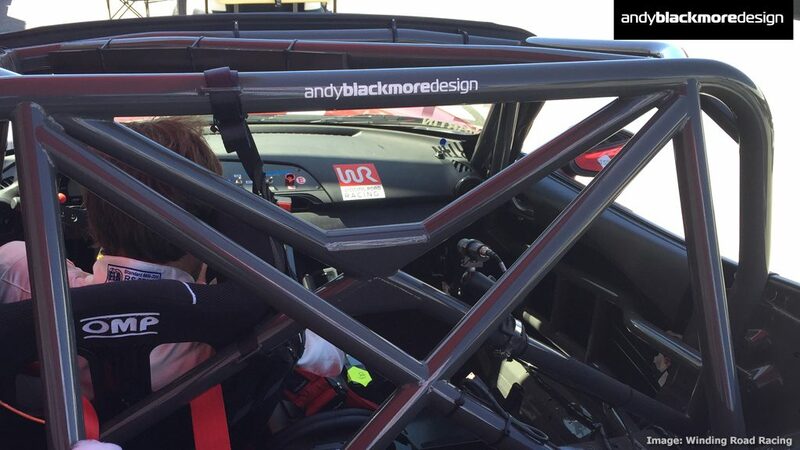 The team included me in their celebrations which was a nice touch, along with branding on the cars. Thanks to Tom Martin and Winding Road for the opportunity. It was an awesome livery project to work on! You can follow their exploits during the reminder of the season on WindingRoad.com , WindingRoadRacing.com and their Facebook page.